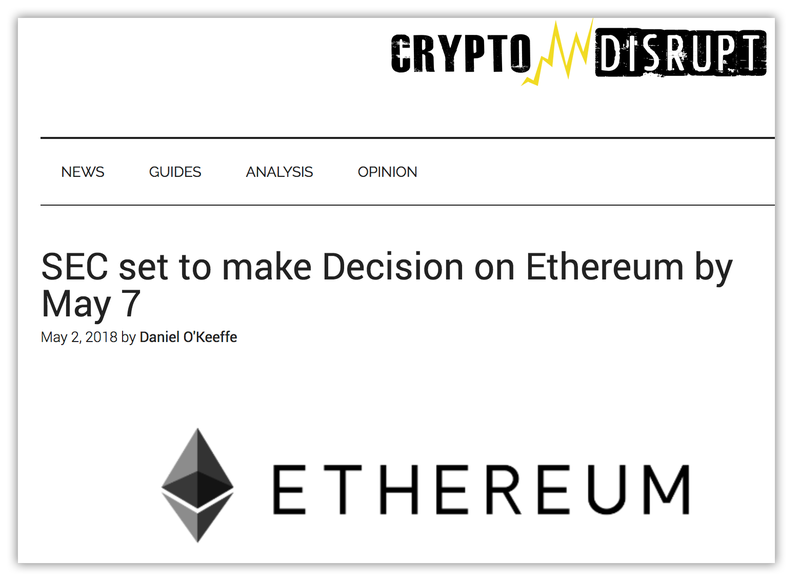 For the last few days, there’s been a pervasive rumor that on May 7th, the SEC was going to rule on whether or not Ethereum is a security. It was widely covered by CoinTelegraph, Quartz, Mashable, and many other publications. There’s just one problem — it’s fake. Despite driving Ethereum from a high of $831 down to $700, there was absolutely no substance to the rumors. Likewise, the SEC’s website has no such hearing either. And, just to put the nail in the coffin, no announcement or ruling of any kind has come out, as of May 8th. How Did the Rumor Get Started? It first started with the Wall Street Journal’s article, “World’s Second Most Valuable Cryptocurrency Under Regulatory Scrutiny”. The article named no sources, but claimed Ethereum was under an SEC investigation. 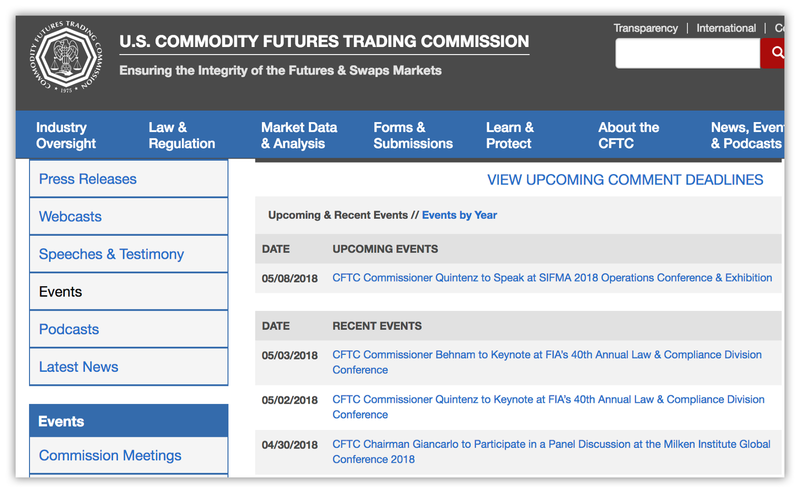 A working group of regulators including senior SEC and CFTC officials are scheduled to discuss the matter on May 7, one of the people said. Okay. So the WSJ says officials are meeting to discuss the matter. With that as fodder, within hours, the rumor mill begins. A simple statement that regulators might be meeting to have a chat gets turned into the impending doom of Ethereum, cryptocurrency, and the world as we know it. Some people say this kind of FUD is spread deliberately to drive the price of ETH down. Nefarious traders are using it as an opportunity to swipe up ETH for cheap. Personally, I think that’s unlikely. That would require traders to have both inside knowledge about what’s going on at the SEC, and the ability to manipulate the media. Most likely, what’s going on is much simpler. News sites, podcasts, and blogs are compensated for driving visitors. Many journalists are hired to produce 5 to 10 blog posts per day. Content quantity is more important than quality. Journalistic integrity often goes out the window. Fake news spreads because shock drives eyeballs. Tweaking phrases like “SEC meeting to discuss matters on May 7” to “SEC to make a decision on May 7” seems like a trivial decision. Unfortunately, these small tweaks compound on top of one another, each exaggeration building on top of the next, until just one week after the initial WSJ article we’ve snowballed into a full blown, non-existent crisis. So next time you see an article claiming it’s the end of the world — make sure to check your sources. Remember that most regulations don’t happen in days, but in months and years. Check out our podcast, the Crypto Starship Podcast, for more insights on the crypto markets and on crypto investing.